Thad Beaumont would like to say he is innocent. He'd like to say he has nothing to do with the twisted imagination that produced his best-selling novels. He'd like to say he has nothing to do with the series of monstrous murders that keep coming closer to his home. But how can Thad deny the ultimate embodiment of evil that goes by the name he gave it - and signs its crimes with Thad's bloody fingerprints? Rosie Daniels leaves her husband, Norman, after 14 years in an abusive marriage. She is determined to lose herself in a place where he won't find her. She'll worry about all the rest later. Alone in a strange city, she begins to make a new life, and good things finally start to happen. Meeting Bill is one, and getting an apartment is another. Still, it's hard for Rosie not to keep looking over her shoulder, and with good reason. Norman is a cop, with the instincts of a predator. 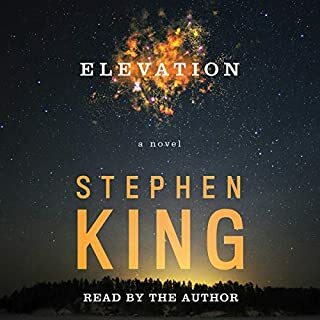 "I believe there is another man inside every man, a stranger...." writes Wilfred Leland James in the early pages of the riveting confession that makes up "1922", the first in this pitch-black quartet of mesmerizing tales from Stephen King. 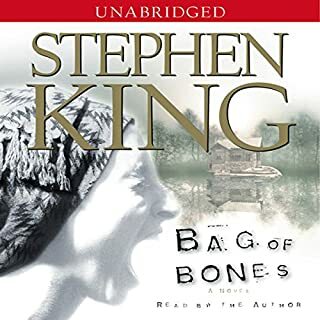 For James, that stranger is awakened when his wife, Arlette, proposes selling off the family homestead and moving to Omaha, setting in motion a gruesome train of murder and madness. It was the ultimate death game in a nightmare future America. The year is 2025 and reality TV has grown to the point where people are willing to wager their lives for a chance at a billion-dollar jackpot. Ben Richards is desperate - he needs money to treat his daughter's illness. 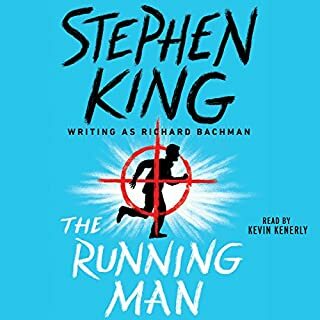 His last chance is entering a game show called The Running Man where the goal is to avoid capture by Hunters who are employed to kill him. The master at his scarifying best! From heart-pounding terror to the eeriest of whimsy - tales from the outer limits of one of the greatest imaginations of our time! 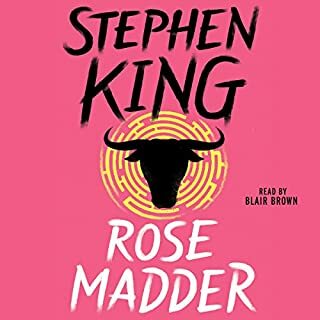 Trucks that punish and beautiful teen demons who seduce a young man to massacre; curses whose malevolence grows through the years; obscene presences and angels of grace - here, indeed, is a night-blooming bouquet of chills and thrills. 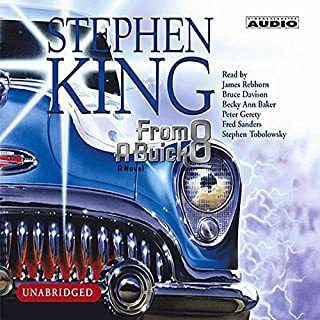 Stephen King's first full-length solo novel since Dreamcatcher, the long-awaited From a Buick 8 is "nearly flawless and one terrific entertainment," says Publishers Weekly. A strange car acts as a conduit between our world and some other...and the boogeyman of this creepy story is our collective fascination with deadly things. 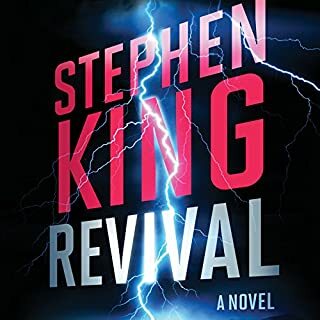 The battle against evil has begun in this "devishly entertaining" (Publishers Weekly) story of a suburban neighborhood in the grip of surreal terror - a number-one national best seller from Stephen King writing as Richard Bachman. Peaceful suburbia on Poplar Street in Wentworth, Ohio, takes a turn for the ugly when four vans containing armed "regulators" terrorize the street's residents, cold-bloodedly killing anyone foolish enough to step outside their homes. Houses mysteriously transform into log cabins, and the street now ends in what looks like a child's hand-drawn Western landscape. Masterminding this sudden onslaught is the evil creature Tak, who has taken over the body of an autistic eight-year-old boy, Seth Garin. 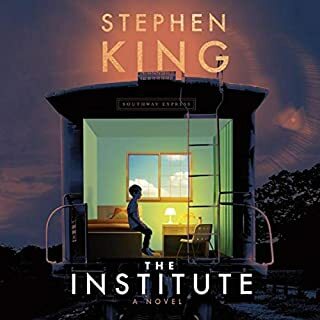 "A rip-roaringly violent thriller whose main action takes place in little more than an hour and a half" (Booklist), The Regulators features an introduction by Stephen King on "The Importance of Being Bachman". ©1996 Richard Bachman. All rights reserved. (P)2016 Simon & Schuster, Inc. 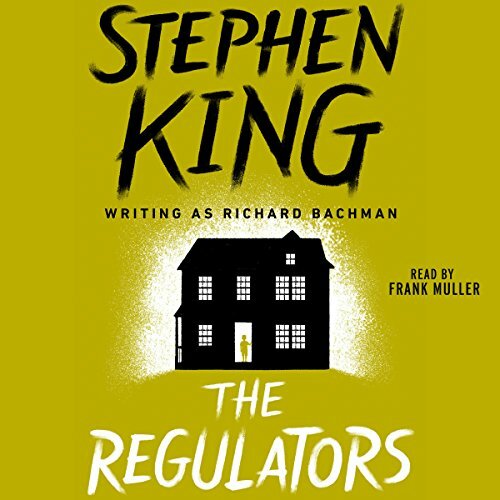 The Regulators is a thematic follow up to Stephen King's book Desperation. It exists in an alternate universe to that book. Many of the same characters appear in both stories, some of which are similar wheras others are completely different. This is a core element to both books appeal. Both books tell similar but different stories. And it's recommended to read both back to back inorder to get the full picture. It is a lot of fun to spot these similarities which all make up a cohesive whole when read this way. The story and premise to The Regulators is equal parts H.P. Lovecraft and The Twilight Zone. It very much reads like a horror themed version of the latter. The book covers a single series of events that last a very short period of time. However in-between events there are miniature pieces of exposition that give you greater context to how the story reached that point. It always feels like you're uncovering more of a multi-layered mystery as it goes on. The book also ends in a more satisfying way than it's sister book Desperation. 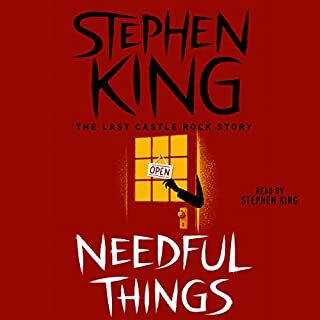 Overall I greatly recommend this book to fans of Stephen King. However only if you read it after completing Desperation while the events and characters are fresh in your memory. 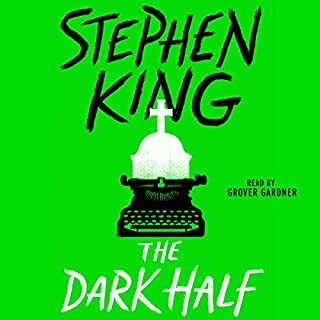 It greatly enriched my understanding of the story and characters in a way comparable to reading The Silmarillion prior to The Lord of the Rings. As a result it remains a unique book in King's catalogue. There's nothing else quite like it. 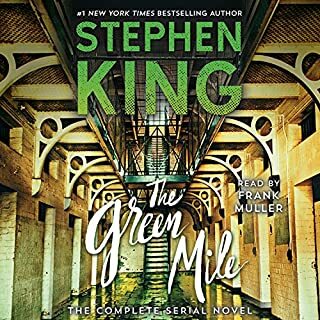 Classic Stephen King, and no one read him better than Frank Muller. 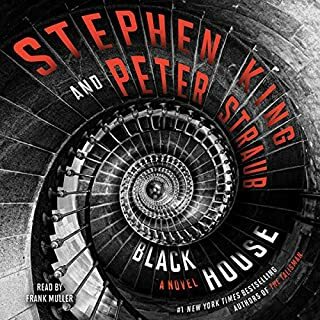 Black House will always be my favorite, but this was very good. I'm not sure which was published first but this book is the companion piece to King's novel Desperation. Personally I liked Desperation better in both story and character development but that's just me. The Regulators has many similarities to Desperation including the villain, the characters (sorta), and how the plot unfolds. 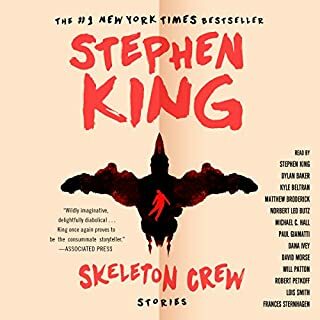 The Regulators story takes place in about a 90 minute window with diary entries and flashbacks filling in the spaces, so there are several points where this book drags on and on. 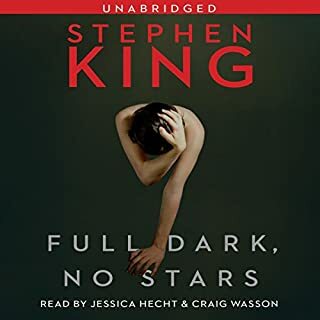 The saving grace to this audiobook is Frank Muller, who returns to read another King story after a severe motorcycle accident about a decade ago. Muller is perfect for the role of narrator and I wish he would have done Desperation as well. 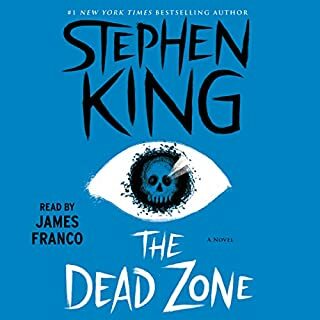 One last note is that this book has several, let's just say, scarring moments of violence, I'm not one to cringe a lot but the terror and mayhem inflicted on the poor neighborhood was shocking to say the least. Unfortunately that is one of its few redeemable qualities and the length is as well, coming in at only 12 hours, a rarity for King. Is it worth the credit/money? Only if you are interested in more Tak/mayhem, though don't expect anymore mythology about it then what was already told in Desperation. 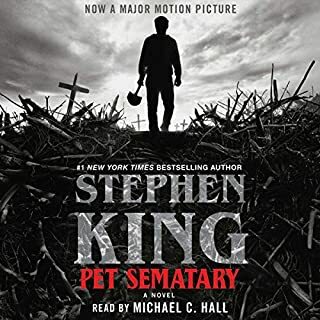 I am a Stephen King fan and have read many of his books. I didn't really care for Regulators. The story was all over the place and hard to follow. Some of the confusion is the use of the same characters as in Desperation although they aren't truly linked. so so king....more Koontz than king. king has done better. lots of times. but the narrator is fantastic! frank Mueller is exceptional here as he always is. Make sure you’ve read desperation first! 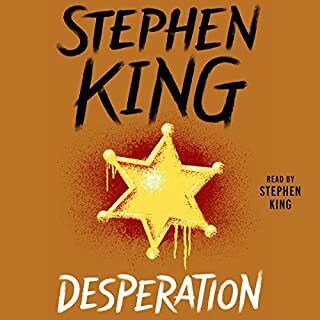 This book was admittedly not one of kings best, but I think most of the negative reviews are coming from those who have either not read desperation at all and/or recently. 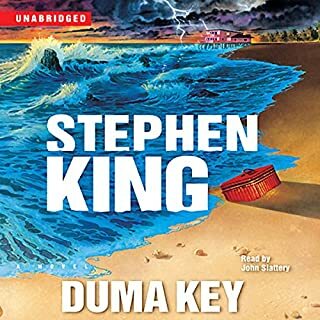 It’s short and to the point because it’s a direct sequel; king seems to write under the assumption that the reader is already familiar with the antagonist so doesn’t waste time explaining its origins. Admittedly violent and gruesome but certainly worth listening to! This book was all over the place. It makes no sense. the narrator does good. Fast paced an edge of your seat type of ride!! It was both thrilling and terrifying as well as exhilarating. This one really had my adrenaline pumping. The narrator is spectacular. Frank Muller was the best! Frank Muller makes this story come alive and dead! What else can I say? 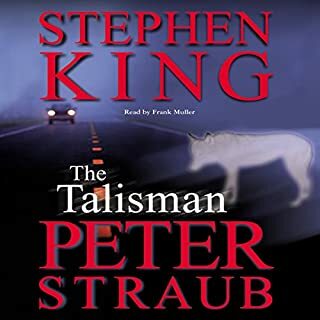 This is another GREAT story by Stephen King. Gives you the creeps with Frank Muller's narration.